Buggatti and Parmigiani are working together. 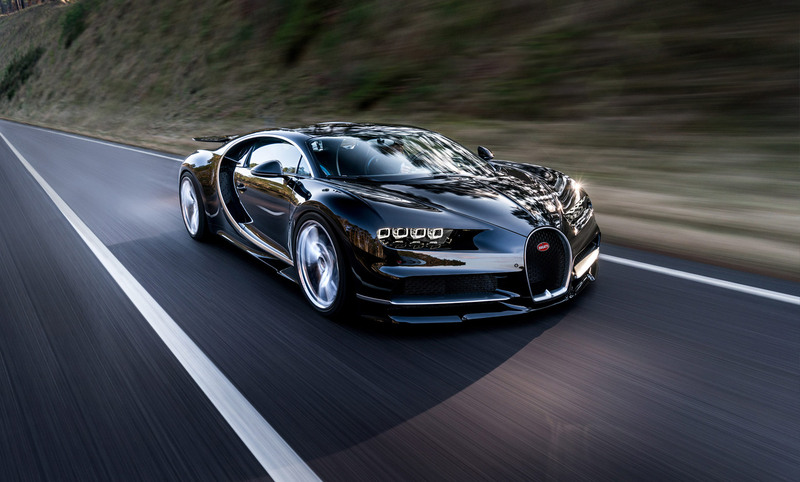 The new Bugatti Chiron worth over 2 million.Parmigiani Fleurier, founded in Fluerier, Switzerland by Michel Parmigiani in 1996, is one of the world’s newest luxury watch brands. But ever since they debuted their first watch in collaboration with Bugatti in 2006 they’ve received the attention and respect of the international watch community, though the brand still has a long way to go to build its profile. At SIHH Parmigiani’s debuts did not garner the same amount of press as more established watch brands. But their latest design for Bugatti certainly caught our eye. Dubbed the Bugatti Aérolithe Performance and priced at $22,900, it’s both a tribute to the car of that name, an ahead-of-it’s time Art Deco masterpiece unveiled by Jean Bugatti in 1935, as well as Bugatti’s latest supercar, Chiron, selling at $2.6 million. Inspired by the “beauty and mystery” of the voluptuous vehicles, the case is made entirely from titanium, and laser technology was used to apply “finishes beyond the capability of conventional machining,” most notably an inverted diamond point pattern on the intermediate ring underneath the crown and pushers. The exterior of the dial was also “selectively laser sand-blasted” while the counters at 3 and 9 o’clock are finished with a circular satin grain also achieved with lasers. 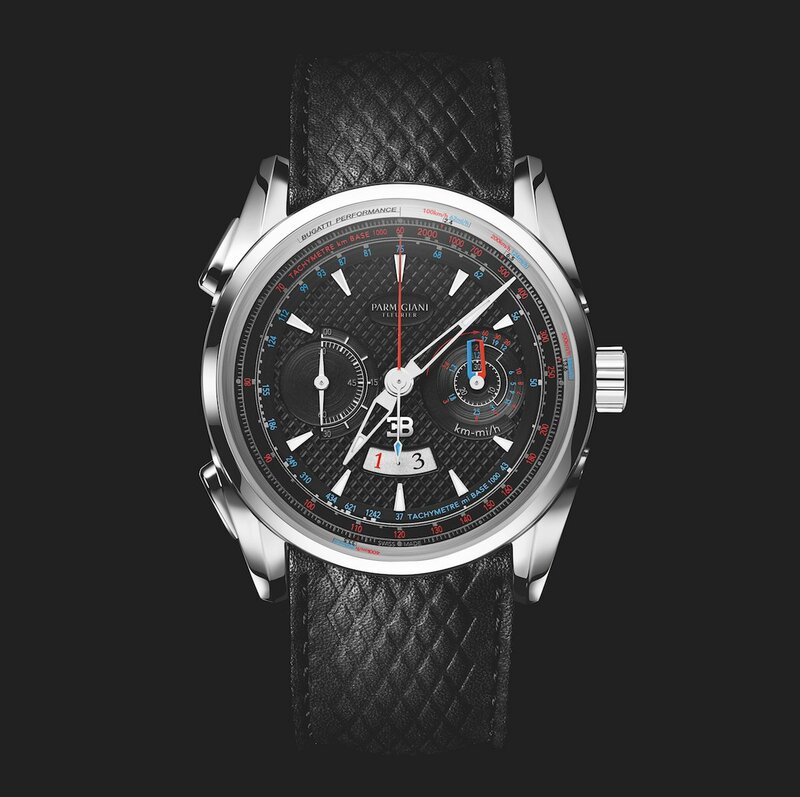 A key feature of the watch is the tachymeter; not one, but a double tachymeter with km/h indications in red and mph in blue in homage to Bugatti’s signature colors. 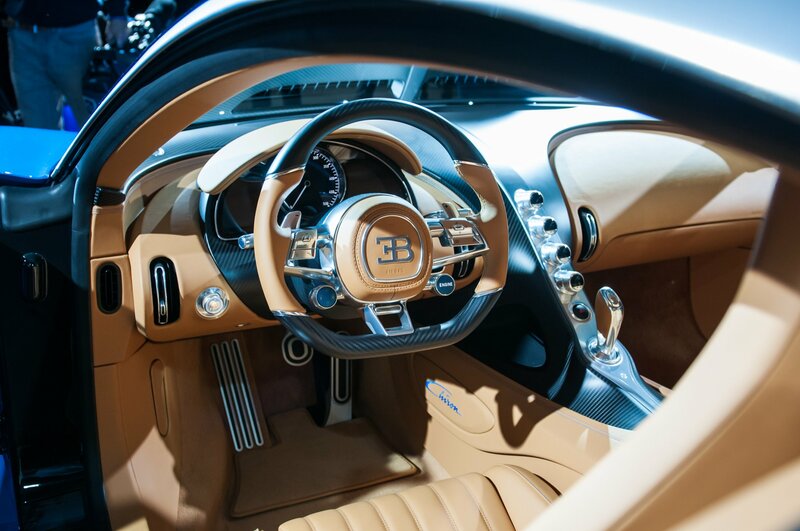 Notice that the Bugatti Aerolithe Performance has unique hands.